Mariia Skoruk was awarded "Honorable Mention" at the Fifth Serge Lifar International Ballet Competition in Kiev. In 2009 she graduated with a Choreographic Teaching Degree from the National Dragomanova Pedagogical University. She was born in 1989 in Kiev. At just ten years old she was invited to attend the famous ballet school of the Kiev State Opera and Ballet Theater. 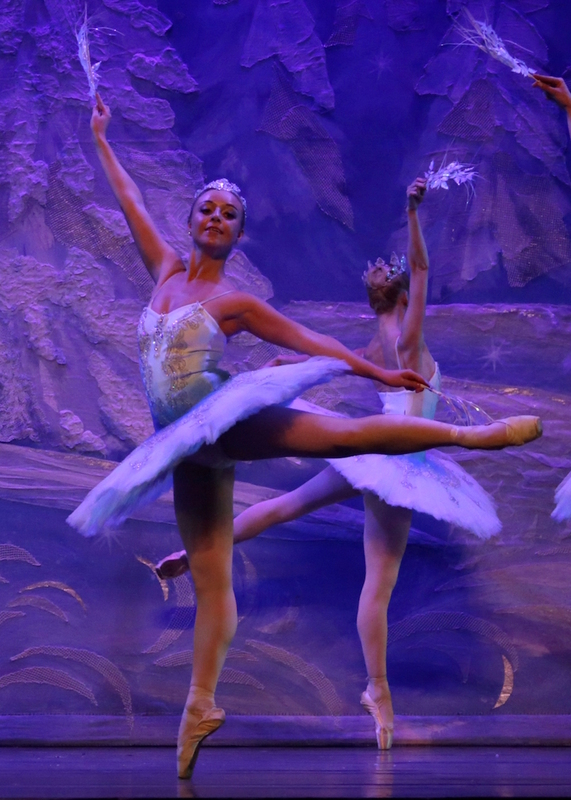 She graduated with a “Diploma of Distinction” and, seen as a talented ballerina, was invited to join the company of the prestigious Kiev State Academic Opera and Ballet Theater. The Kiev company is regarded in the Russian dance world as the third best, after Moscow and St Petersburg. The Kiev Opera and Ballet Theater began its history in 1867 and has developed one of the biggest repertories in the world including 24 ballets. Many famous dancers perform on the National Opera stages including Serge Lifar, Nadezhda Pavlova, Maya Plisetskaya, and more from Moscow’s Bolshoi Theater and the St. Petersburg Kirov Ballet. Mariia has also worked with Moscow Ballet for the past 5 years. She performed in Moscow Ballet’s premiere of Romeo and Juliet in 2011, new staging by Andrei Litvinov, new costumes by Arthur Oliver and all new sets created in St Petersburg’s finest and oldest theatrical shop. Her repertoire is comprised of the entire range of classical characters, among these: Romeo and Juliet, Great Russian Nutcracker, Swan Lake, Don Quixote, Giselle, Cinderella, La Bayadere, and Carmen. She has performed internationally in the following countries USA, Canada, Holland, England, Switzerland, Mexico, Colombia, and Ecuador. Technical prowess was…truly "great”...whimsical sets and giant animal stick puppets and colorful costumes … stellar Arabian Variation…breathtaking! Save up to 23% off! Contact Talmi Entertainment to book a performance. Find a performance in your state, or visit Your City to find out when we will be in your area. This holiday season, experience Moscow Ballet's Great Russian Nutcracker – acclaimed by the press and adored by audiences everywhere. Get your tickets now! © 2019 Moscow Ballet. All Rights Reserved.